TASS, October 21. 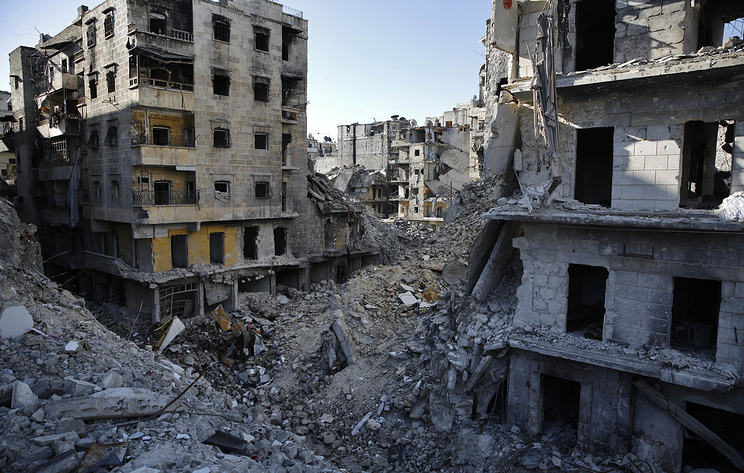 Numerous ceasefire violations by militants operating in Syria’s Idlib de-escalation zone were reported in Syria’s Latakia and Aleppo governorates over the past day, chief of the Russian Center for Reconciliation of the Opposing Parties Vladimir Savchenko said on Sunday. "Ceasefire violations by illegal armed groups operating in the Idlib de-escalation zone continue. Thus, during the day shelling attacks were reported from the settlements of Rashah and Akch Baer (twice) in the Latakia governorate and from Aleppo’s Makanis al-Duwayri neighborhood. Apart from that, positions of Syrian government forces near the settlement of Tadef in the Aleppo governorate came under shelling by illegal armed groups operating near the city of al-Bab," he said. According to Savchenko, officers of the Russian reconciliation center conducted two humanitarian operations in the settlements of al-Husseiniya in the Deir ez-Zor governorate and Kabra in the Aleppo governorate. A total of 3.9 tonnes of food products and one tonne of bread were handed out to civilians. Twenty-five wheelchairs were delivered in a charity operation to Damascus’ 601st hospital. "Targeted charity assistance was delivered to 15 families of killed Syrian servicemen in five Aleppo’s neighborhoods, namely Sheiban Pasha, Skeikh Fars, al-Qadiya, Sheikh Khoder and al-Sahur," Savchenko added.